This program accepts one value(float value) from user and stores it into radius parameter. 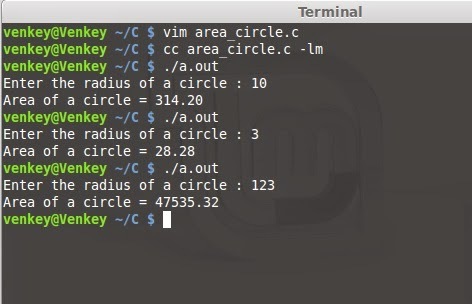 Then it will calculate the Area of Circle based on that radius. Here is the formula to calculate the area of Circle. The area of a circle is π (Pi) times the Radius squared. Where π (Pi) is 22/7 or 3.142.